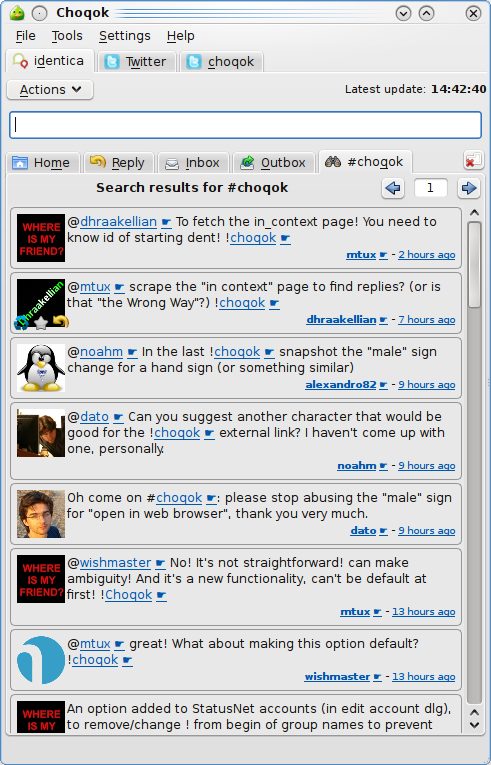 Choqok ( pronounced: tʃœˈʁʊk ) is a Free/Open Source micro-blogging client for K Desktop Environment. The name comes from an ancient Persian word, means Sparrow! Supporting Friends, @Reply, Favorite and Public time-lines. 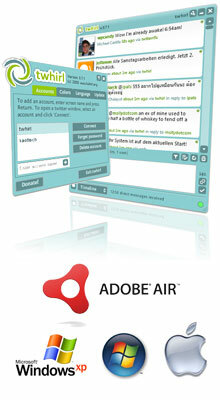 Supporting search APIs for Twitter and StatusNet services. Ability to notify user about new statuses arriving. 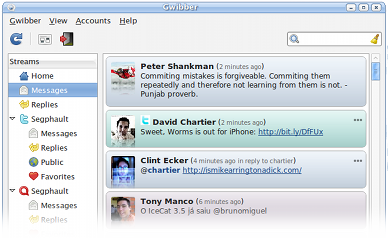 Gwibber is an open source microblogging client for Linux. 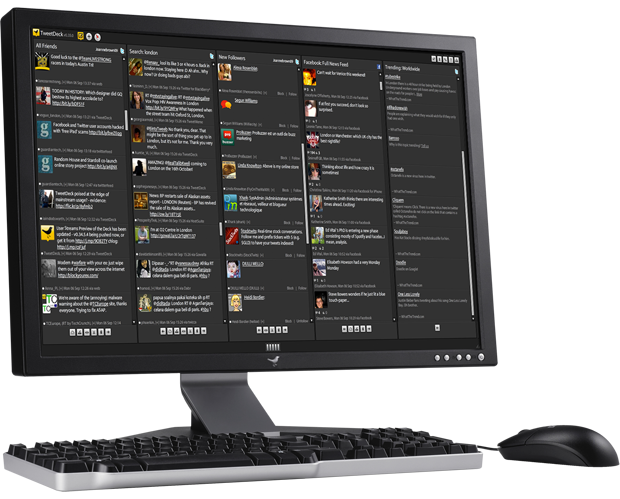 It brings the most popular social networking web services to your desktop and gives you the ability to control how you communicate. 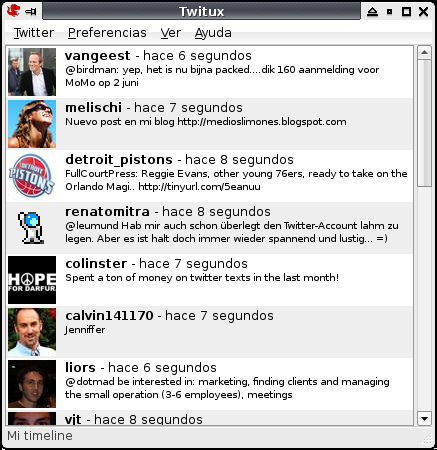 Twitux is a GTK+ Twitter client.